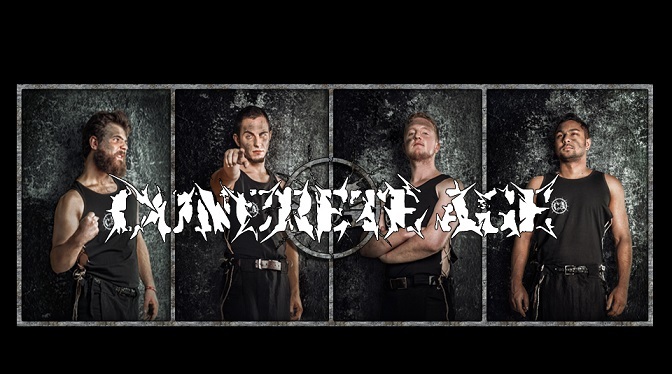 Concrete Age is an ethnic/ thrash /melodic death metal band hailing from the United Kingdom and Team Decibel had the opportunity to have chat with Illya Morozov, the brainchild behind the project. DecibelLK: Tell us about the band, How did you guys come together? The story behind Concrete Age and why the name “Concrete Age”? Illya: Nowadays, we all live in a Concrete Age if you think about it, I think this name is perfect for the style that we represent. The word “Concrete” reflects the metal side of the band and the “Age” contains something global and epic. 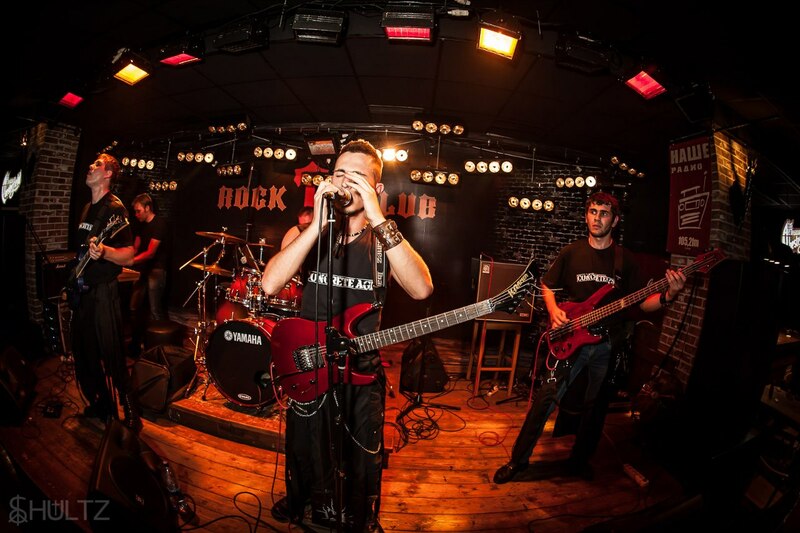 I formed this band in 2010 in Russia, at first it was kind of influenced by industrial/ thrash metal and I had big influences from Fear Factory and trance music. 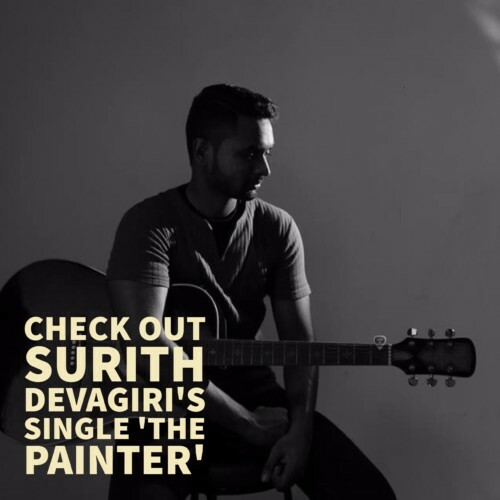 First ethnic experience I had was with the song “The King”, you can hear oriental harmonies and sitar instruments on it. It was the beginning of the Concrete Age that you know now. I found this style very unique and not mainstream. You can also hear that Concrete Age has been influenced by New Age music as well. During our live shows this mix surprises the crowd in a good way. Current band members are all from different backgrounds. And I believe this highlights ethnic variety of the band as well. We have a guitar player (Malinda Ginige) from Sri Lanka, our bass player (Jim Rain) is from the UK and Darcy Mulcahy (drummer) is from Australia. All these guys are professionals and very committed; all of us put all our passion for this music when we rehearse. DecibelLK: CA’s primary influences when it comes to songwriting and composing? Illya: Usually before composing I don`t listen to any metal music at all. I prefer to listen to music from different countries and cultures. I don’t try to imitate it, but it gives me new way of thinking. Usually you can find chants of Tibet monks on my playlist. This type of music is my favorite. DecibelLK: Death/thrash? Yes! But why ethnic metal? And what inspired to incorporate this mysterious aspect in to traditional death/thrash metal? Illya: Concrete Age tries to communicate through the language of the nature and in my opinion the best way to make it sound epic and powerful is to link it with metal. 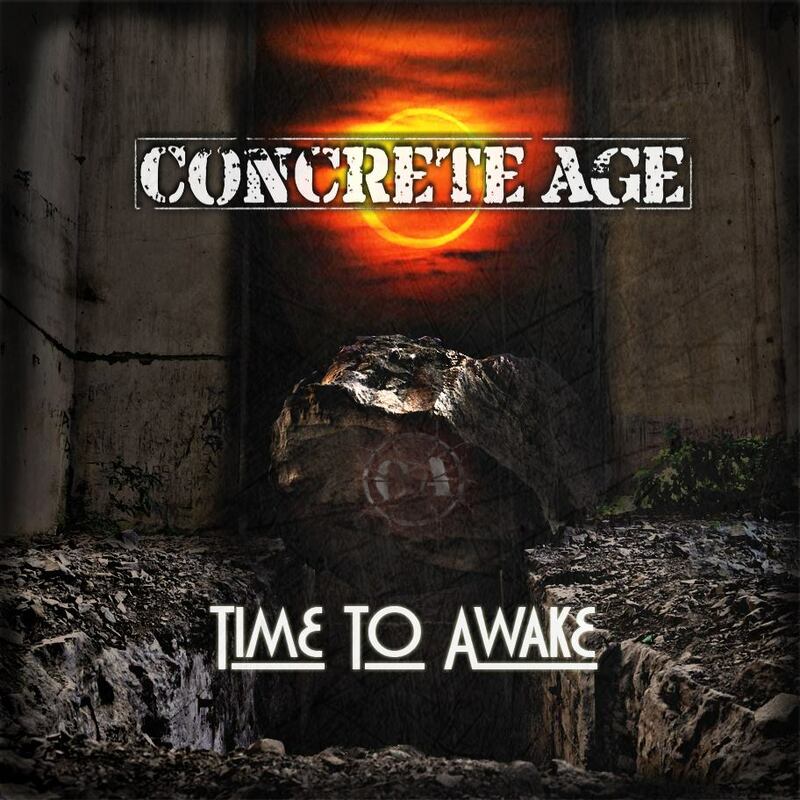 DecibelLK: Concrete Age released their first full length album, ‘Time to Awake’ in 2012. Enlighten us with the concept behind the album, lyrical themes and highlight tracks? Illya: It`s a big history of reincarnation. This album is very light and diverse, talking about lyrics….well it`s all about the link between humanity and nature. Some of us have this feeling, some of us don`t. The technical part of this album is a bit tricky. We have a lot of progressive parts there. Lead parts of the guitar are very difficult as well. But they are fun to play. Also it was the first time when I started using throat singing. DecibelLK: The most recent works by you guys, such as ‘The Temple of the Sacred Spirit’ and the EP ‘Pain’ have taken a more, heavier route when compared to your previous work. What’s the reason behind that? Illya: I recorded “The Temple of the Sacred Spirit” when I moved to Moscow. It was a hard time for me and I can say that the first half of the year I couldn’t make any tracks. It was completely a different atmosphere compared to my native region (Caucasian region). Before I recorded the first track “The Hunt“, I had taken a break from my job and had gone to my hometown. When I was there I spent most of my holiday in the wild and sacred places of the Caucasian region and it helped me create one of the most beautiful recordings that I had ever made before. DecibelLK: Ilya, Concrete Age is more like a projection of yourself, it’s a part of you. I believe that you guys have an entirely new line up. How does the rest of the guys blend in & how’s the chemistry? Illya: Well, the songs that I create I prefer to leave as they are. But I am always open to new ideas. Darcy can do a great drums arrangement, I like his fills, accents on drums. I can definitely say that he is a valuable asset to the band. Jim is amazing as well. I like his way of thinking in music. He can bring fresh ideas in his bass lines. He can bring a groove into this music and that is very important. Talking about Mal’s role in the band I can say that it is very significant, I had an experience of playing with only one guitar on stage and I can say that for my band it does not work. 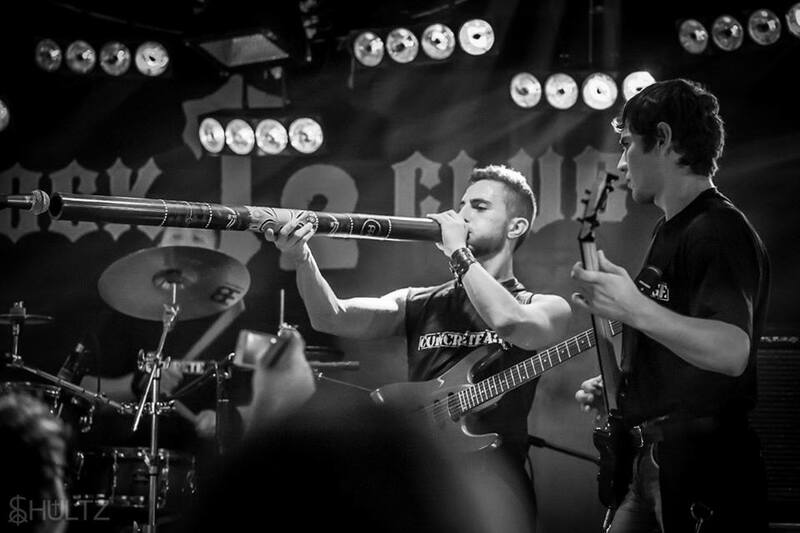 We like to sound huge and powerful and with two guitars it`s more achievable. DecibelLK: The demand for your music, the fan base in Europe and around the world? Illya: According to our Facebook fan page the biggest fan base we have is in Brazil! Haha! I don`t know why…. Maybe because we have a bit of Sepultura/Soulfy in our music. But it`s cool! We would really like to go there and perform. There is also a long-term fan base in Russia, every day people keep asking me when we are planning to visit my mother land. It would be fun play there with my new band members. They would gonna love it! DecibelLK: Special tours, gigs you guys have been featured in? Illya: We are planning to go touring but at the moment we are rehearsing the new set list as we are interested in quality of our live shows. DecibelLK: Future plans for Concrete Age, what’s brewing in the CA camp? Anything the crowd can look forward to anytime soon? Illya: We have a new album coming soon. We are looking for a record label at the moment. Also we are planning to make an official video (hopefully in May this year). 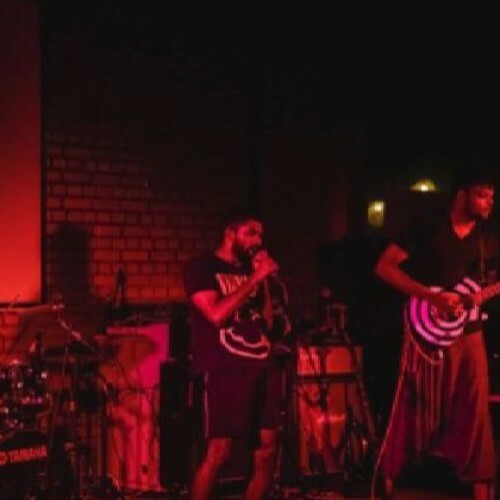 DecibelLK: Would you like to play for the mass here in Sri Lanka, any idea about how the Sri Lankan Metal scene is since Malinda is a part of Concrete Age? Illya: Yes we would like to play in Sri Lanka! It`s a long trip but it is worth it. I am sure that it will happen in the future. DecibelLK: Finally, any special mentions who have helped Concrete Age to come this far. Illya: My brother. He is the best music critic for me. I can say the opinion of this person is very important for me. Also my wife who helps me with grammar in my lyrics. Our good friend Thomas Maher (Ex-Mean Machine), He gives us really useful tips and advices as we are a new band in London. My very good friend from Facebook Tanya Legrand, sometimes she helps us with the promotion part and of course our parents. We owe them big time for our passion for music! Catching Up With Durga Before B.G.E.